Rabbi Ettinger was far from the scene but turned his car around and fired at the terrorist in an attempt to neutralize him. IDF forces at scene of terror attack in Samaria on Sunday. The family of Rabbi Ahiad Ettinger, who was critically wounded in the terror attack in Samaria on Sunday, said that Rabbi Ettinger passed the scene and realized that a terrorist was attempting to carry out an attack. He was already a distance from the scene but turned his car around and approached the terrorist, firing four bullets in an attempt to neutralize him, until the terrorist’s bullets critically wounded him. Rabbi Ettinger's condition continues to be extremely critical. His life is in danger due to a serious head injury. The condition of the IDF soldier who was wounded is very serious, according to a Beilinson hospital spokesperson. IDF sergeant Gal Keidan, 19, a soldier in the IDF’s 334th artillery battalion, was killed in Sunday’s attack. His funeral will take place on Monday at 11:00 a.m. at the military cemetery in Be'er Sheva. 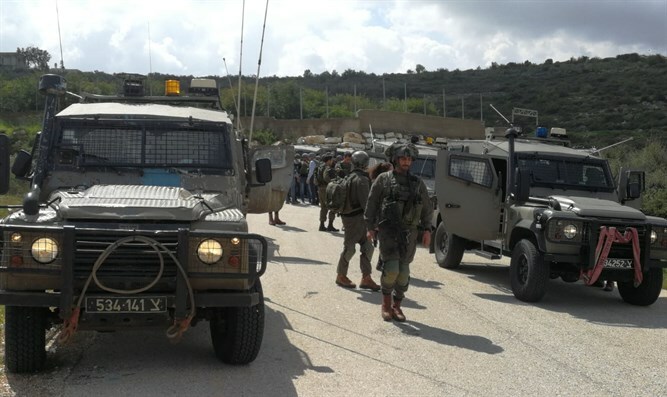 The two attacks, which took place a few miles apart in western and central Samaria, were carried out by a single terrorist cell, Israeli authorities say. According to an initial investigation into the attacks, it appears that a terrorist who had hid in an illegally-built Arab store near the entrance to Ariel, then approached Keidan, stabbing him to death, and stealing his firearm. At the same time, the IDF company commander who stood on the other side of the square, fired at the terrorist and wounded him lightly. The terrorist then entered a car and drove to the Gitai Avisar Junction where he shot another IDF soldier. The IDF is continuing its investigation into the combined attack, including why the other IDF soldier who stood at the hitchhiking station didn’t shoot at the terrorist, and why the soldiers failed to report the incident to the IDF soldiers at the Gitai Avisar Junction.